Winter is finally over, and June is in full bloom! While local crops and produce are ripening, farmers and communities are gearing up for another Farmers Market season. 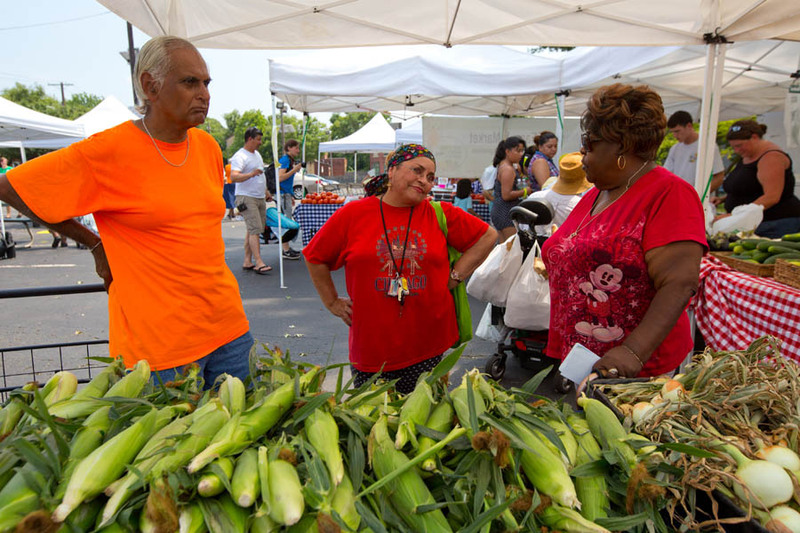 New Jersey is proud to host a number of community markets during the month of June. Farmers Markets help residents gain access to fresh foods, support healthy communities, and increase revenue for local Jersey Fresh farms. Four markets in New Jersey are bringing fresh local food to the communities that need them most. The market accepts SNAP benefits, Farmers’ Market Nutrition Program Vouchers, Senior vouchers and Supplemental Nutrition Program for Women, Infants, and Children Vouchers (WIC). The Greenwood Ave Farmers Market offers fresh produce, free health screenings, music, games and activities for kids! Mark your calendars this summer for all the special festivals this amazing market offers. July 30th and August 27th – Water Festival featuring a giant water slide, and “cool” activities! Sept 24 – Bike Festival, with a bike course, giveaways, and free bike repairs! Oct 15 – Harvest Fest closes out the harvest season with awesome Autumn activities! Visit: http://www.greenwoodavefm.org/ for more information. In Middlesex County – Check out the market in New Brunswick! New Brunswick offers 3 locations throughout the week for residents and visitors. They also participate in Rutgers Day and The New Brunswick Ciclovia. The Market is celebrating its 10th season by having an Opening Celebration at the Market Pavilion with live music, face painting, a Henna artist and food samples on Saturday, June 23rd from 9:00 am to 1:00 pm. Visit http://nbcfarmersmarket.com for more information.